Kochi-based TeamSustain devise green solutions that are not just eco-friendly but also commercially viable. Two Kerala based projects which act as a testimony to the same are the Hibiscus Villa and the office of Malankara Plantations Ltd. The multiple-award-winning Kochi-based firm TeamSustain, known as Solar Tech Enterprises till the year 2005, was established in 1994, and has since then built a highly-specialised repertoire of comprehensive green solutions and services. The products developed by TeamSustain provide excellent energy and energy back-up. Its pioneering work in the Commercial Viability model of sustainable energy creation and management has over the decades led to a seasoned range of projects that cover rural electrification, biomass power, micro hydro power, solar photovoltaic technology and more. The firm’s record-creating projects have led the way with exemplary pre-project planning, execution, post-production management, and everything in between. The firm’s projects are characterised by a strident understanding of the local conditions, coupled with a nuanced sensitivity towards cultural and utilitarian needs. 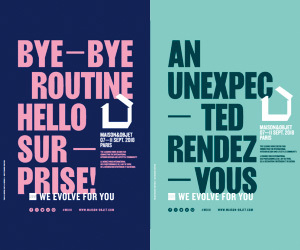 Unlike a lot of its international contemporaries, Team Sustain has persevered in a still fledgling sustainable-energy market and worked across different scales and industries. 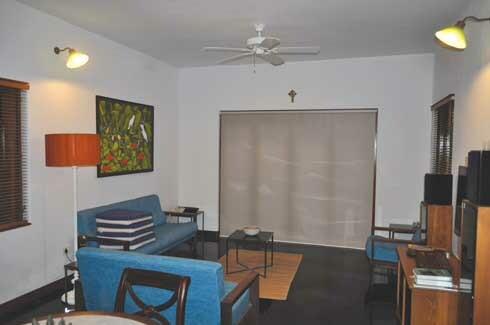 The owners of Hibiscus Villa have long been the supporters of green ventures, so the home-stay too had to embody that principle. 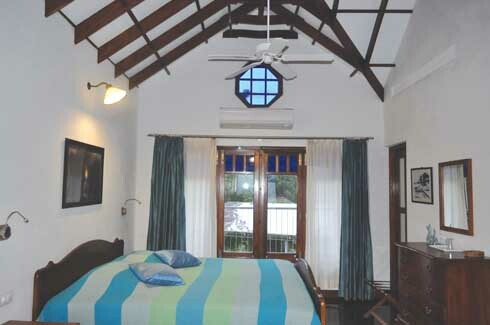 Facing Lake Vembanad, this 3-bedroom homestay is a perfect space for relaxation. Christened as the Hibiscus Villa and located in the Alappuzha district of Kerala the villa is owned by Thomas and Rosy Dominic. Apart from the lake a rustic pond also adds to the USP of the space adding to the overall air of bucolic escapism. 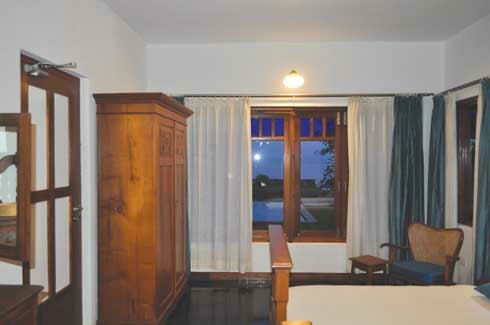 The owners have long been the supporters of green ventures, especially through their farmhouse in a rubber plantation, so the home-stay too had to embody that principle. Adding to the challenges however were local factors – the undependable electricity connection which results in frequent power cuts and low-voltage phases that would not support the homely electrical appliances at the villa. The tropical weather, too is generally uninviting for solar-powered energy arrangements. Inspite of these challenges TeamSustain remained undettered and managed to build the world’s first true Net Zero building in a tropical region. The photovoltaic array is fitted with modules to maximise energy efficiency. Utilising 24 Trojan Battery’s premium line of flooded deep cycle batteries, 2 inverter chargers and 2PV charge controllers the team built a power system that is entirely self sufficient and needs no back up from the diesel power inverters. This battery system is the mainstay here, with the Trojan’s DuraGrid, MaxGuard XL separator and Alpha Plus Paste technologies ensuring consistent performance even in times of unsure weather. This set-up supports the villa’s energy-efficient refrigerator and 3 air-conditioning units; home-theatre system, pressure pump and other appliances. 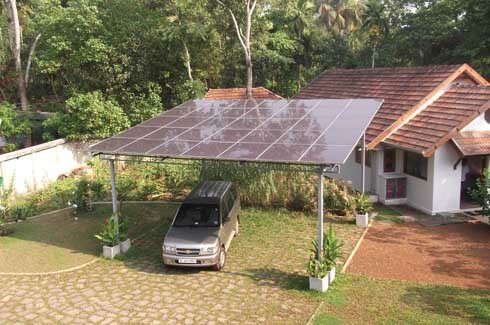 To top it all, the photovoltaic array, consisting of a-Si thin film modules, also acts as a car shed. The 3-bedroom property is energy self-sufficient and needs zero diesel-powered back-up. The administrative and corporate offices of the Malankara Plantations Ltd. in Kottayam, Kerala, were inspired by all these factors to rope in TeamSustain to build a net zero working environment. To beat the tropical conditions here, 252 a-Si thin film solar modules were used instead of the usual crystalline modules. These modules ensure excellent performance on dull days, a great generating time and low installation cost. The Malankara administrative and corporate offices are fitted with a solar power structure that will make it the first office complex in the country to be a net zero building. 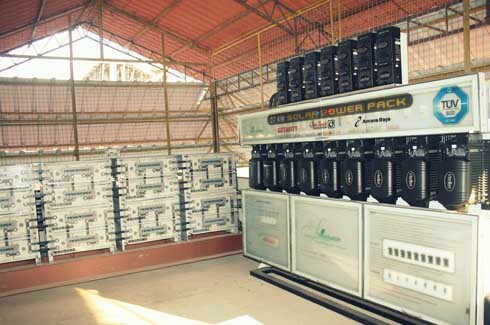 The resultant yield is also 15% higher, supporting the heavy load consisting of computers, water pumps, lighting and ventilation and 18 tons of air conditioning equipment. The module sets’ high performance is enhanced by 7 MPPT (Maximum Power Point Tracking) Outback FLEXmax80 charge controllers with 27.5kWp charge. 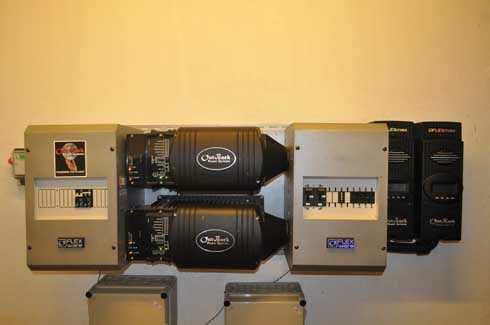 The 27kW back-up system consists of 9 Outback GFX3048 inverters. The energy and equipment management is kept up by a sophisticated Internet-enabled communication and monitoring system. The 25KW solar plant installed here has successfully made the Malankara offices self-sufficient and thereby, completely off-the-grid. In addition it also led to the reduction of CO2 emission by 40.86 tonnes per year.